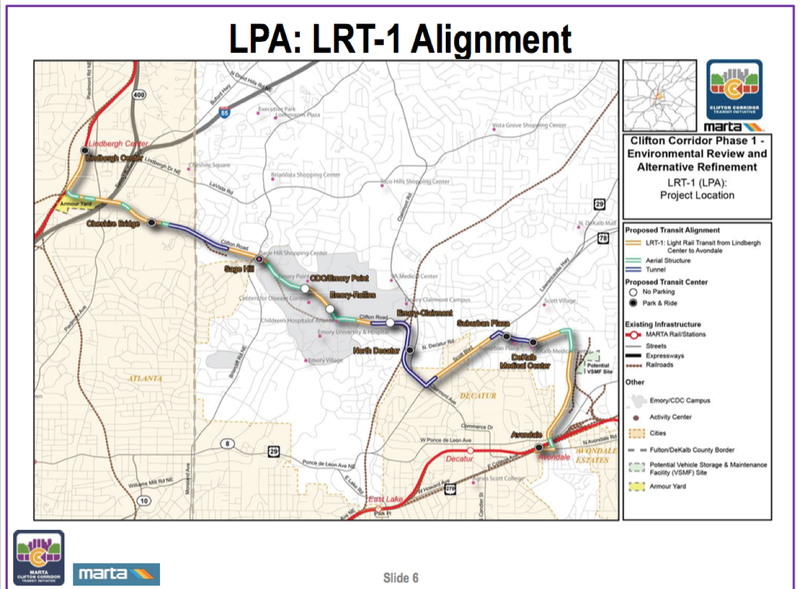 MARTA representatives attended the MANA community meeting on February 15, 2016 to discuss the proposed Clifton Corridor expansion that would bring light rail connectivity to our area. The Clifton Corridor encompasses some of the largest employers in the area: Emory University, Emory Hospital, the Centers for Disease Control, Children’s Healthcare, and Veteran’s Administration Hospital. The overall plan attempts to address current congestion while projecting for the area's needs as far as yr 2040. 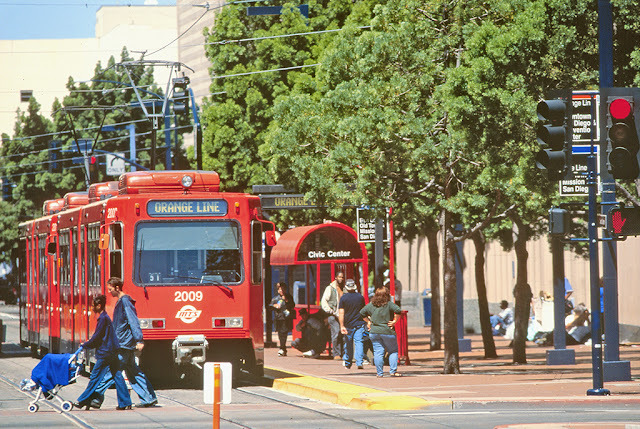 The Clifton Corridor rail would connect Lindberg and Avondale stations, with multiple in-between stops. In contrast to heavy rail (like MARTA trains that are powered by ground-level electrified third rail), light rail would be powered by overhead lines. 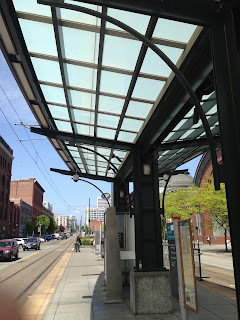 Typically, light rail travels less quickly than heavy rail but offers stops that are more closely spaced. Compared to buses, light rail travels faster (due to right of way) and has higher capacity. 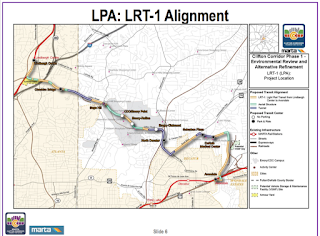 Public meetings and discussions have been ongoing for years (see our Clifton Corridor posts and MARTA's Clifton Corridor page) and through public input meetings, MARTA is coming closer to defining the locally preferred alternative (LPA) plan. The presentation below includes maps of alternatives being considered, with highlights for our Medlock neighborhood. All options include stops at Emory University / CDC, Suburban Plaza and DeKalb Medical. The current LPA includes Clairmont Rd. service to the VA Hospital. Other alternatives bypass Clairmont and provide service along North Decatur Rd. only, or along North Decatur Rd. and Haywood Drive. The Haywood Drive option would potentially reduce Clifton Road traffic by 50%. North Decatur Road would have to be widened to allow for a dedicated lane. MARTA has additional information on federal funding for these types of projects. 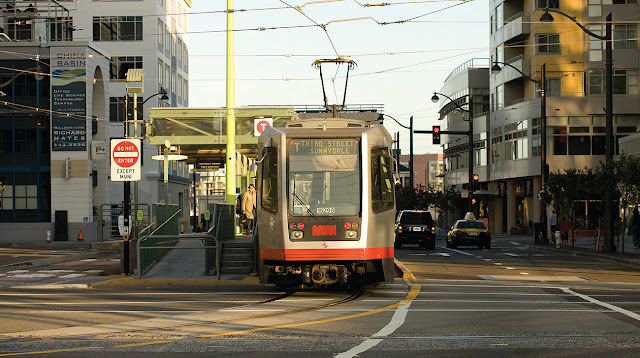 In a best-case scenario (the proposed T-SPLOST garners support at the November election and additional federal funds for the project are secured), the project could be completed as early as 2025. The last page of the presentation includes contact information, as MARTA continues to receive input about this plan. These images provide some ideas of what light rail vehicles and stations may look like (images shared by MARTA).